DEALERPOSTER.ORG is the fruit of the minds of 5 Finance Managers and 5 Top Salespersons who have been in the Automotive business for over 20 years, it came about after some advertising sites became to expensive and Dealers would have to spend 100's of dollars monthly to get some good results, DEALERPOSTER.ORG has made it affordable and it works, it's been in the making since 2014 and tried out at several Dealerhips, since 2014 DEALERPOSTER.ORG has continued to make the site easy to use and more effective by having your inventory auto-fed onto our site while you sleep, we are able to get organic leads to you by way of SEO Marketing, Various Social Media platforms and soon TV, we've reached out and have connected with companies such as Carsforsale.com, Wayne Reaves and others who have welcomed our services, So join today for only $19.95 and start saving on your monthly advertisement costs. CLICK ON THE DEALER LOGIN BUTTON TO CREATE A PROFILE FOR FREE! 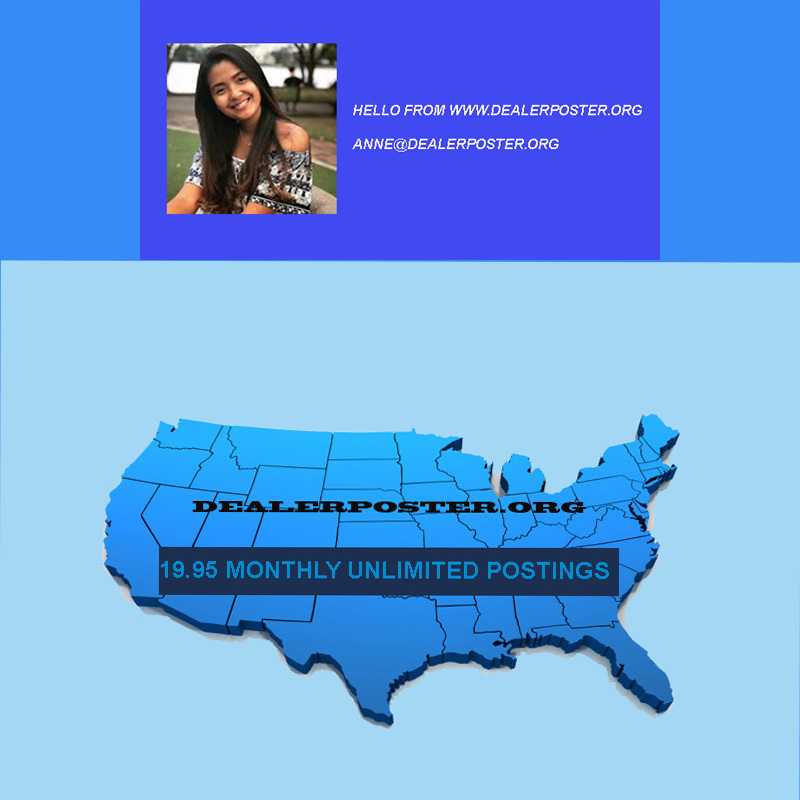 DEALERS CAN GET VEHICLE REPORTS FOR $20 BUCKS A MONTH CLICK HERE TO JOIN NOW! CLICK HERE TO GET A FREE TRIAL TO GOVERMENT SEIZED AUTOMOBILES AND SAVE THOUSANDS"FREE TRIAL"CLICK NOW"